Nick Lasseter is in a slump--as a reporter for the Waterloo Weekly, and in every other part of his life as well. When he grudgingly agrees to write a piece about a rising female Republican legislator, he stumbles onto a political fight in which the good guys and bad guys start to seem interchangeable. And not even the deceased can be relied upon to stick to their stories when Nick gets involved with a political insider. As they search the dim depths of a civic past that's anything but dead and buried, they find that some things never change--things like the moral ambiguity of practical politics and the sad, hilarious cluelessness of young men in love. 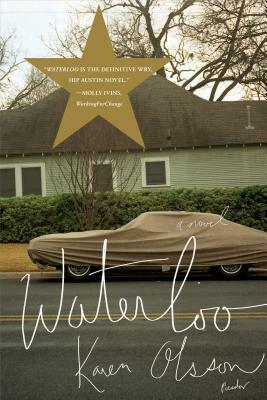 Bittersweet and biting, elegiac and sharply observed, Waterloo is a portrait of a generation in search of itself--and a love letter to the slackers, rockers, hustlers, hacks, and hangers-on who populate Austin, Texas--from a formidable new intelligence in American fiction.